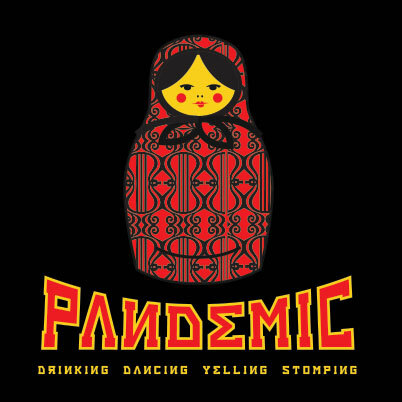 We have NEW!!! 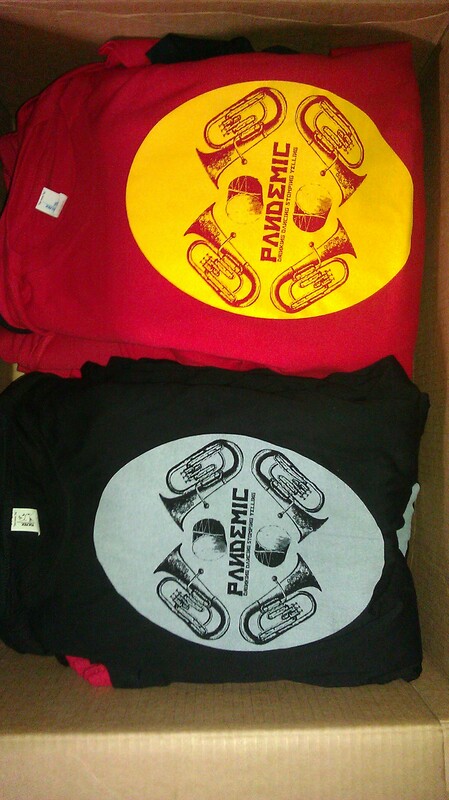 T-SHIRTS for SALE!!!! 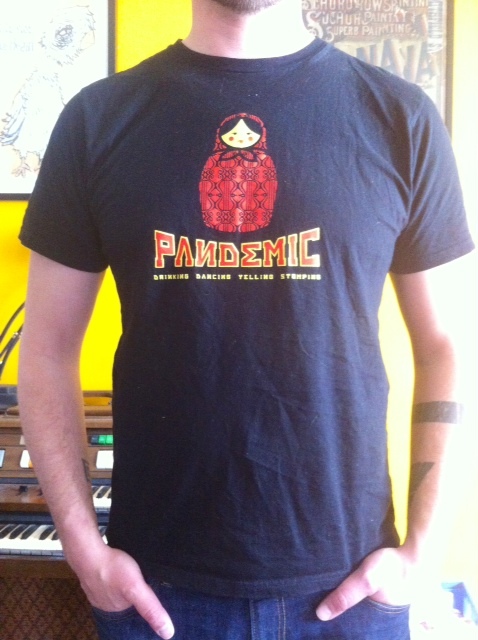 We are selling PANDEMIC T Shirts for ONLY $15 each. These are ringspun cotton Tultex tshirts. 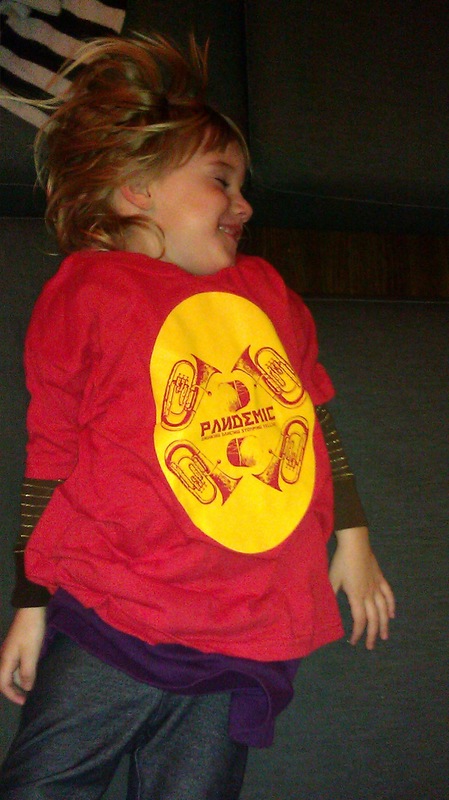 They fit your form nicely (wink wink) and were screenprinted locally at Commonwealth Press (located in pittsburgh’s southside). 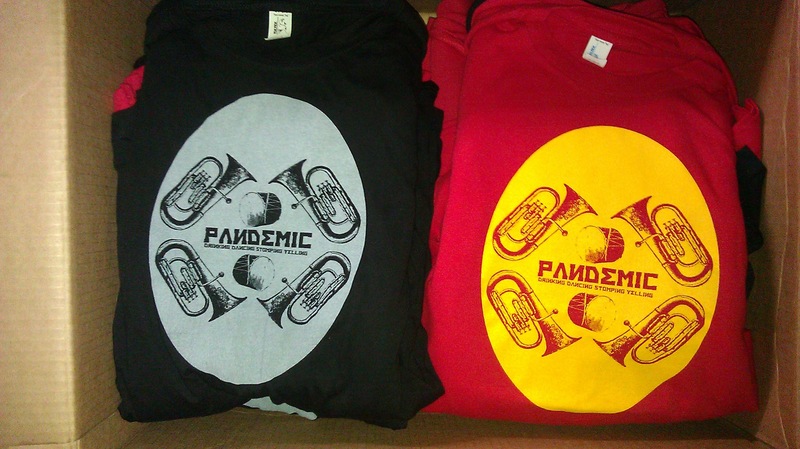 contact me at pandemicpete (at) gmail (dot) com for more info payment method and shipping. or hit me up on the streets.